How’s your posture? As we get older, gravity and the muscle weaknesses of weak postures can make you feel, and look, old. Awareness is the first step to making a change. So Day 1 let’s check in with a simple standing posture check. Stand tall for your picture, and take front and side views. No one’s perfect, but especially if you are more than a bit off in multiple areas, the sooner you start to ACE Your Posture, the sooner you’ll be standing taller. Slouchy sitting and bad tech habits are a common cause of back and neck pain, as well as headaches, and drains your energy. Once you’ve taken the first step to better posture. Look up and adopt new posture habits. 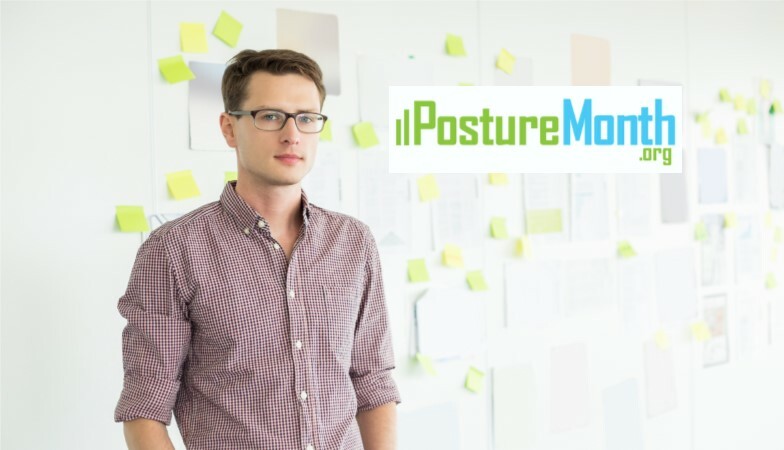 Strengthen your posture with motion control postural exercise, and maintain it by designing a posture-smart environment at home, school, work and when you exercise. Focus on 1 posture tip each day, and then recheck your posture next month after 31 Days to Stronger Posture. You can track your progress with regular posture checks using a free posture app.